Windows Phone's worldwide market share was around three per cent last year according to Gartner. The same analysts are now reporting a Windows Phone market share of just 1.7 per cent, in the most recent Q3 2015 quarter. This downward trend doesn't look good for Microsoft but can its upcoming new handsets, Windows 10 mobile, universal apps initiative and Continuum for phones help it revive its mobile platform? Overall Gartner observed plenty of upgrade activity from users of feature phones in its most recent report, as the entry level pricing for smartphones stooped lower. Thus sales of smartphones in emerging markets were up 18.4 per cent and in mature markets sales were up 8.2 per cent. In terms of OS market share, Gartner says that Apple iOS grew 21 per cent, Android grew 1.4 per cent and Windows Phone was down from 3 per cent to 1.7 per cent, as noted in the intro (that's a 57 per cent drop for Windows Phone). "Despite the announcement of Windows 10, we expect Windows smartphone market share will continue to be a small portion of the overall smartphone OS market as consumers remain attracted by competing ecosystems," thinks Roberta Cozza, research director at Gartner. "Microsoft smartphones will mainly focus on driving value for enterprise users," surmised Cozza. 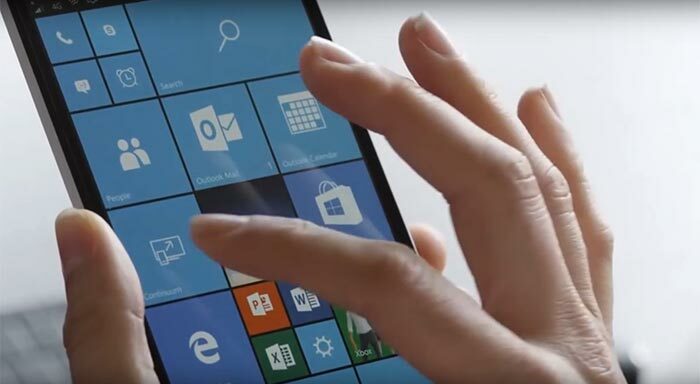 Microsoft will be hoping to reboot Windows Mobile's momentum with the launch of Windows 10 Mobile. There are a number of initiatives within this OS which could help. The fact that lots of existing Windows Phone smartphones will be carried along and get updated to the latest Windows 10 Mobile looks good for user experience and the security of the older mobiles in use. Road warriors and business users may be attracted by Microsoft's Continuum: cleverly turning smartphones into working desktop PC alternatives. Continuum requires various hardware to be present in your phone and carried around by the user (or at every station they visit). Tom's Hardware spells out what is required; a Qualcomm Snapdragon 808 or 810 SoC, 2GB RAM, Bluetooth 4, Wi-Fi 802.11n, Miracast extensions for Windows 10 and USB 2.0 appear to be minimum requirements with benefits from more RAM, 802.11ac Wi-Fi and USB 3.0 Type-C trumpeted. You'll also need a display, keyboard and mouse to enjoy the 'PC experience', of course. “From today, UK customers will be able to pre-order Microsoft’s Lumia 950 and Lumia 950 XL on contract, just in time for Christmas. Lumia 950 (5.2”) and Lumia 950 XL (5.7“) are the latest premium smartphones from Microsoft, designed to work like your PC, and provide a seamless and consistent experience across all Windows 10 devices. Both devices have stunning displays and the latest in processing power provided by Qualcomm Snapdragon processors. The Lumia 950 and Lumia 950 XL also offer great battery life (up to 18hr / 19hr talk time respectively) and lightning quick charging – with wireless technology baked in. The phones are built to take full advantage of Windows 10, and are the first to feature ‘Continuum’ - delivering a familiar and consistent experience that extends across your Windows devices and key apps. Both Lumia 950 and Lumia 950 XL come with the latest Microsoft Office apps (Word, Excel, PowerPoint, Outlook and OneNote) built in as standard and are designed for easy-use and improved functionality on the screen. You can also plug your 950/950 XL into the Microsoft Display Dock, an external monitor, keyboard and mouse, and use it like a PC*. Both handsets also deliver an ultra-powerful photo experience, with 20MP AF Pureview cameras allowing any budding photographer to capture the perfect images, whatever the conditions. I think this is a shame. Windows Phone is pretty decent now, but unfortunately it's difficult to persuade consumers to join an ecosystem that doesn't have all of their apps available. Likewise, it's difficult to persuade developers to support the platform where the consumers don't exist. Vicious cycle. The ecosystem is massively restrictive, and those apps listed are available on Android and iOS as well (indeed my Samsung phone came with Office “built in as standard”). Continuum is a nice idea, but you need to carry the dock around with you - you might as well carry that ChromeBit stick, or another compute stick device instead.